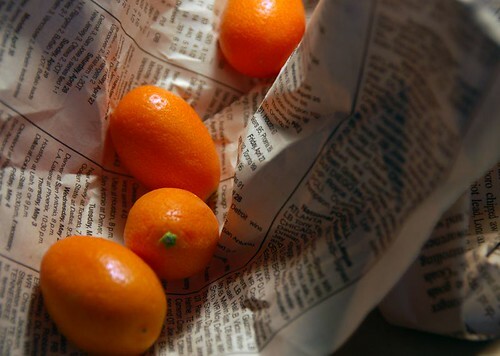 kumquats, originally uploaded by Kim Denise. ten years ago, i could have spent an imagination and a half trying to dream up a path for myself, and i still wouldn't have come up with anything close to what has been. in some ways, the despair and dizziness i am plagued with at the moment isn't so different than the way i felt then, facing an unplanned future. and i'm pretty darned proud of everything i've been a part of, accomplished, seen, and so many people i've come to know since then. so i guess i'll just have to remind myself of that every time i start to spiral into sadness--you can never know what awaits you, you can only welcome it with open arms.